University maintenance grants for lower income students in England and Wales are to be scrapped from September 2016, Chancellor George Osborne has said. In his budget, Mr Osborne said the grants had become "unaffordable". Mr Osborne also said tuition fees could rise with inflation, above £9,000, for those institutions which offer high-quality teaching from 2017-18. But critics said many low and middle income students could be put off university by these measures. Currently, students from families with annual incomes of £25,000 or less get the full grant of £3,387 a year. More than half a million students in England receive a maintenance grant from the taxpayer, worth in total £1.57bn a year. Mr Osborne said the cost of this was set to double to £3bn in the next decade as the cap on student numbers was lifted. There was a "basic unfairness in asking taxpayers to fund grants for people who are likely to earn a lot more than them", he said. "If we don't tackle this problem, then universities will become under-funded and our students won't get places, and I'm not prepared to let that happen," he said. The new loans, specifically for lower income students, will be worth more, at £8,200 a year. He told the Commons: "So from 2016/17 academic year, we will replace maintenance grants with loans for new students, loans that only have to be paid back once they earn over £21,000 a year. "And to ensure universities are affordable to all students from all backgrounds we will increase the maintenance loan available to £8,200, the highest amount of support ever provided. "To ensure our university system is sustainable, we will consult on freezing the loan repayment threshold for five years and will link the student fee cap to inflation for those institutions that can show they offer high-quality teaching." Mr Osborne said this "major set of reforms" would make sure Britain continued to have the best universities in the world. Sir Peter Lampl, chairman of the Sutton Trust and of the Education Endowment Foundation, warned the move could put off many low and middle income students from going to university. "Since grants were reintroduced, there have been significant improvements in participation from full time less advantaged students, and this will be put at risk by today's Budget plans," he said. "The reality is that the government has miscalculated the levels of repayments it will get from its student loans under the new fees system. Rather than penalising poorer students, it should have a fundamental review of the repayments system." 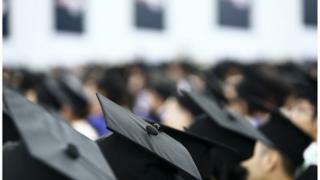 Professor Les Ebdon, director of the Office of Fair Access to higher education, said his organisation would monitor the impact of the change. "Universities and colleges are working harder than ever to improve access to higher education for students from disadvantaged backgrounds and entry rates are now at record levels. "If this change were to adversely affect further progress, I would be very concerned. I will work closely with universities and colleges to monitor whether there are any negative impacts and to ensure they mitigate those through their access agreements." NUS president Megan Dunn said cutting maintenance grants would be detrimental to hundreds of thousands of our poorest students who currently relied on them and could risk putting many people off applying to university. Responding to the tuition fee changes, Maddalaine Ansell, chief executive of University Alliance, said: "Linking tuition fees to inflation is essential if our universities are to offer world class teaching. "It is reasonable to link the increase to teaching excellence and University Alliance looks forward to working with the government to work out how this can best be done." Mr Osborne also announced a new apprenticeship levy on all large firms, saying this was needed if Britain was going to "raise its game". He said too many large companies left training to others.